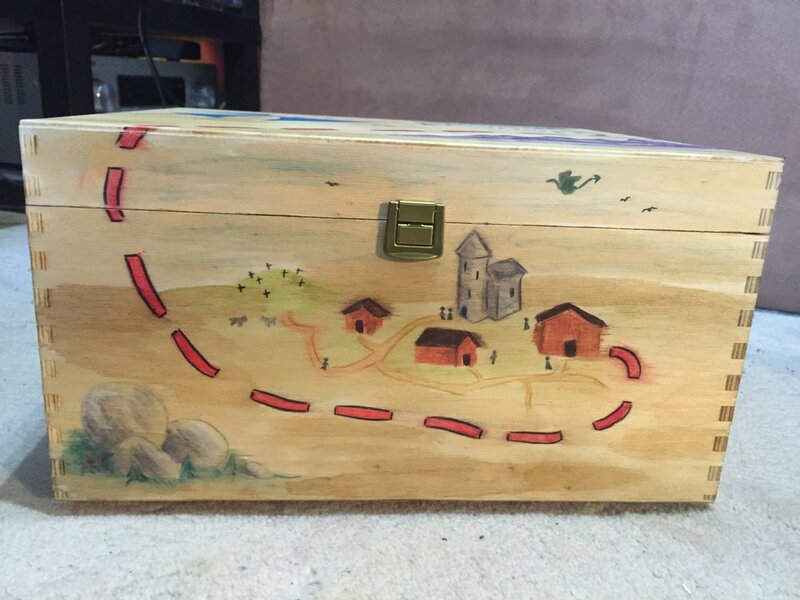 I'm a big fan of maps and treasure, so in 2015 I made a pirate's treasure box for my nephew's birthday. I started with a discarded champagne box — first step was to sand back the logo names (although I kept the crown, that was kind of fitting). I used watercolour pencils to draw the map, and coated the end result with a layer of varnish. Inside, I recycled a puzzle mat into a felt lining, then hit the local opp-shops to find treasure and jewels. Of course a pirate's treasure also needs some gold, so I loaded up with chocolate coins. And a couple of confectionary snakes to guard the whole thing. 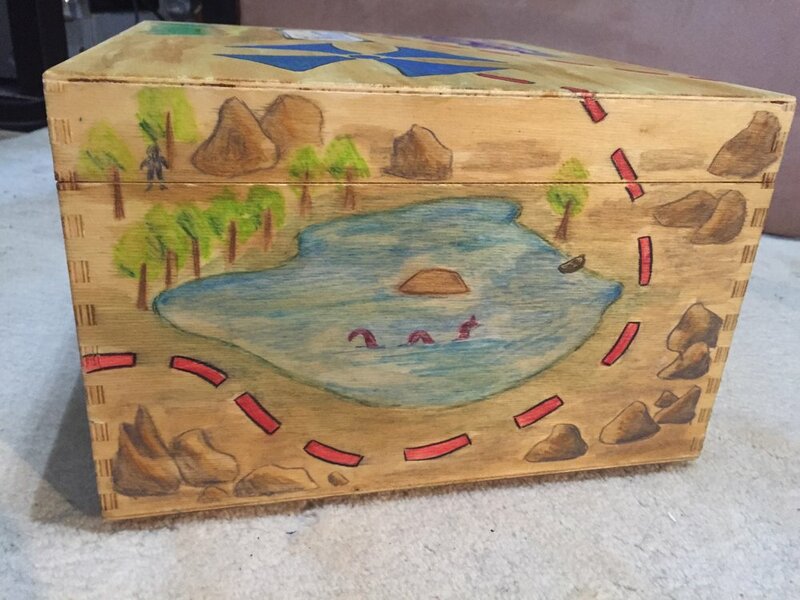 After I gave this treasure box, I heard from my nephew's mum that he refused to eat the chocolate coins — he needed to keep the whole treasure intact!